Silicon-on-chip laser that are monolithically integrated onto a silicon wafer is an essential element to realize a long-time dream of integrating photonics and electronics on a same silicon platform. In this talk, we will review the state-of-the art silicon-on-chip laser technologies and discuss the role of the laser volume and nano-structure as key designing parameter. Then, the existing and emerging applications of silicon-on-chip laser will be presented, including communications for future computers, portable disease diagnosis chips, and silicon-on-chip single-photon sources. Il-Sug Chung received his B.Sc. and M.Sc. degrees in Physics from the Korea Advanced Institute of Science and Technology (KAIST), Korea in 1997 and 2000, respectively and his Ph.D. degree in Information and Communications (Optoelectronics) from the Gwangju Institute of Science and Technology (GIST), Korea in 2006. Since 2006, he has been with the Technical University of Denmark (DTU), Denmark, in +6 years as tenured Associate Professor. In Feb. 2018, he has joined the Ulsan National Institute of Science and Technology (UNIST), Korea. He is an author of 96 journal/conference papers including 1 invited review journal paper, 23 invited talks, and 1 post-deadline paper, as well as two book chapters. He is also an inventor of 12 patents (7 EU/US). His recognized experts are in silicon-on-chip lasers and high contrast meta-structures. His research interests include theoretical and experimental studies of silicon-on-chip optoelectronic devices as well as their applications in silicon photonics, smart sensors, and quantum photonics. 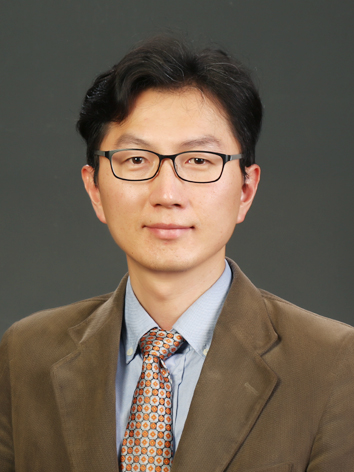 ECE Colloquium: Sung Ho Wang(Neme..